4450701 R16P LINDE R16P Reach truck. Spare Parts Catalog. Service (workshop) Manual. Operator's Instruction Manual. 4450702 R20P LINDE R20P Reach truck. Spare Parts Catalog. Service (workshop) Manual. Operator's Instruction Manual. 4450703 R14 LINDE R14 Reach truck. Spare Parts Catalog. Service (workshop) Manual. Operator's Instruction Manual. 4450704 R14-02 LINDE R14-02 Reach truck. Spare Parts Catalog. Service (workshop) Manual. Operator's Instruction Manual. 4450705 R16 LINDE R16 Reach truck. Spare Parts Catalog. Service (workshop) Manual. Operator's Instruction Manual. 4450706 R16-02 LINDE R16-02 Reach truck. Spare Parts Catalog. Service (workshop) Manual. Operator's Instruction Manual. 4450707 R16N LINDE R16N Reach truck. Spare Parts Catalog. Service (workshop) Manual. Operator's Instruction Manual. 4450708 R20 LINDE R20 Reach truck. Spare Parts Catalog. Service (workshop) Manual. Operator's Instruction Manual. 4450709 R20-02 LINDE R20-02 Reach truck. Spare Parts Catalog. Service (workshop) Manual. Operator's Instruction Manual. 4450710 R20N LINDE R20N Reach truck. Spare Parts Catalog. Service (workshop) Manual. Operator's Instruction Manual. 4450711 R20P LINDE R20P Reach truck. Spare Parts Catalog. Service (workshop) Manual. Operator's Instruction Manual. 4450712 R10C LINDE R10C Reach truck. Spare Parts Catalog. Service (workshop) Manual. Operator's Instruction Manual. 4450713 R12C LINDE R12C Reach truck. Spare Parts Catalog. Service (workshop) Manual. Operator's Instruction Manual. 4450714 R14 LINDE R14 Reach truck. Spare Parts Catalog. Service (workshop) Manual. Operator's Instruction Manual. 4450715 R14C LINDE R14C Reach truck. Spare Parts Catalog. Service (workshop) Manual. Operator's Instruction Manual. 4450716 R14G-3 LINDE R14G-3 Reach truck. Spare Parts Catalog. Service (workshop) Manual. Operator's Instruction Manual. 4450717 R14HD LINDE R14HD Reach truck. Spare Parts Catalog. Service (workshop) Manual. Operator's Instruction Manual. 4450718 R14N LINDE R14N Reach truck. Spare Parts Catalog. Service (workshop) Manual. Operator's Instruction Manual. 4450719 R16 LINDE R16 Reach truck. Spare Parts Catalog. Service (workshop) Manual. Operator's Instruction Manual. 4450720 R16G-3 LINDE R16G-3 Reach truck. Spare Parts Catalog. Service (workshop) Manual. Operator's Instruction Manual. 4450721 R16HD LINDE R16HD Reach truck. Spare Parts Catalog. Service (workshop) Manual. Operator's Instruction Manual. 4450722 R16N LINDE R16N Reach truck. Spare Parts Catalog. Service (workshop) Manual. Operator's Instruction Manual. 4450723 R20 LINDE R20 Reach truck. Spare Parts Catalog. Service (workshop) Manual. Operator's Instruction Manual. 4450724 R20G-3 LINDE R20G-3 Reach truck. Spare Parts Catalog. Service (workshop) Manual. Operator's Instruction Manual. 4450725 R20N LINDE R20N Reach truck. Spare Parts Catalog. Service (workshop) Manual. Operator's Instruction Manual. 4450726 R14X LINDE R14X Reach truck. Spare Parts Catalog. Service (workshop) Manual. Operator's Instruction Manual. 4450727 R16X LINDE R16X Reach truck. Spare Parts Catalog. Service (workshop) Manual. Operator's Instruction Manual. 4450728 R17X LINDE R17X Reach truck. Spare Parts Catalog. Service (workshop) Manual. Operator's Instruction Manual. 4450729 R17XHD LINDE R17XHD Reach truck. Spare Parts Catalog. Service (workshop) Manual. Operator's Instruction Manual. 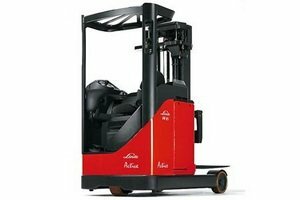 4450730 A10Z LINDE A10Z Reach truck. Spare Parts Catalog. Service (workshop) Manual. Operator's Instruction Manual.